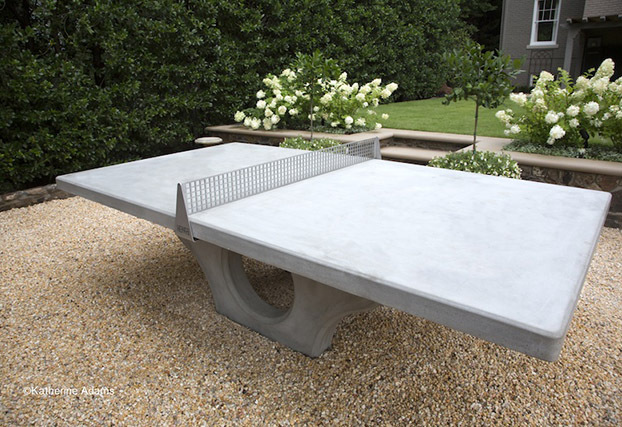 HENGE designs concrete ping pong tables as playable sculpture. 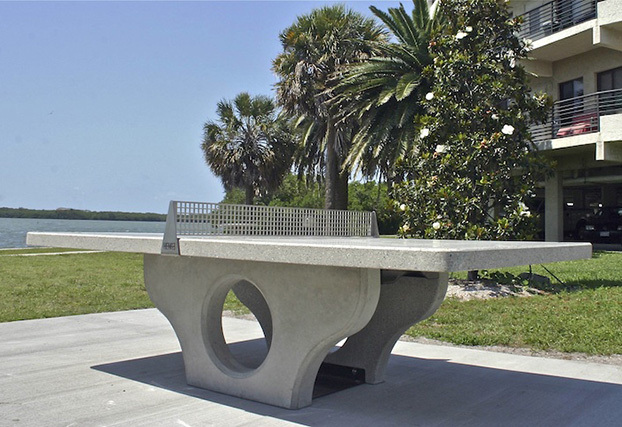 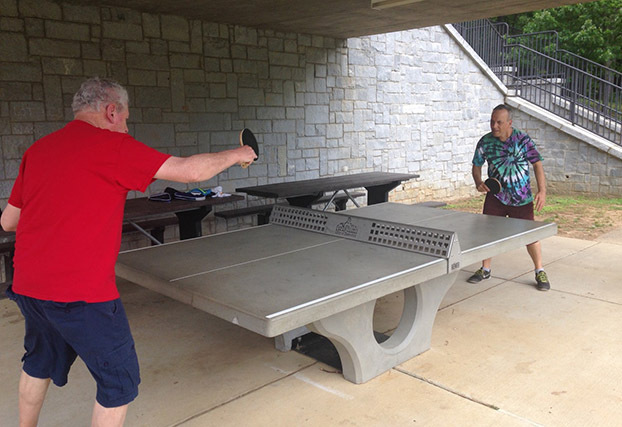 Built to International Table Tennis Federation specifications and engineered to last, both the concrete and tables are manufactured in the USA. 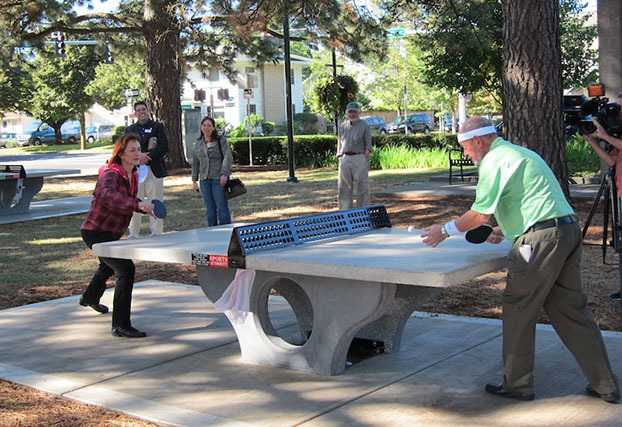 We see our product as a singular, even provocative way to bring a vigorous sport that's already well-loved outdoors. 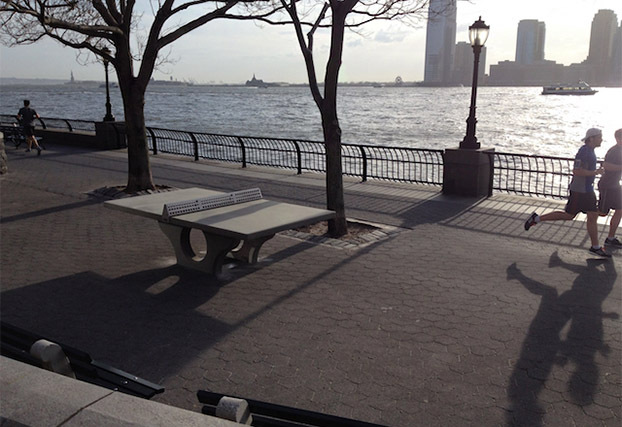 The table promotes fitness and social interaction, and introduces art and beauty into the American common space. 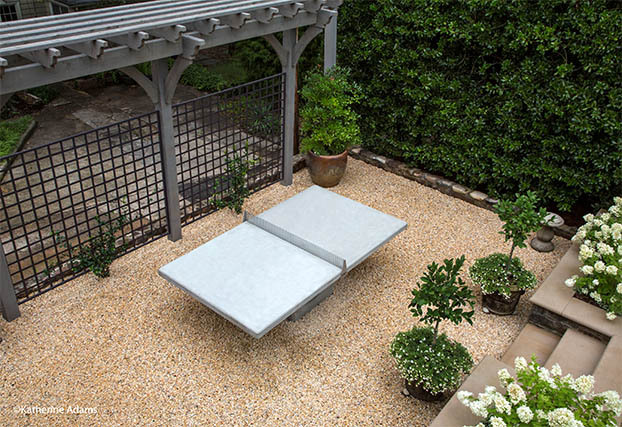 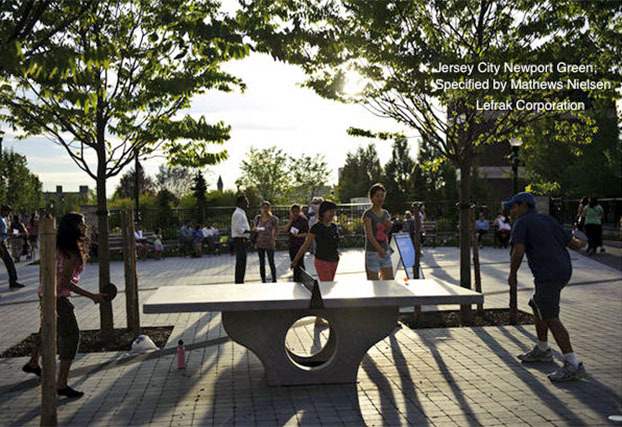 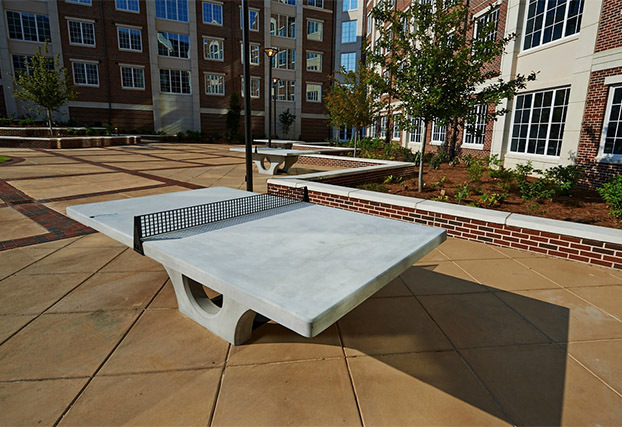 Our tennis tables have been specified in finished projects by Mathews Nielsen, Office of James Burnett, Clark Condon, Arquitectonica, Goodwyn Mills Cawood, Siteworks, Stephen Sills Associates, Kravitz Design, SWA and more. 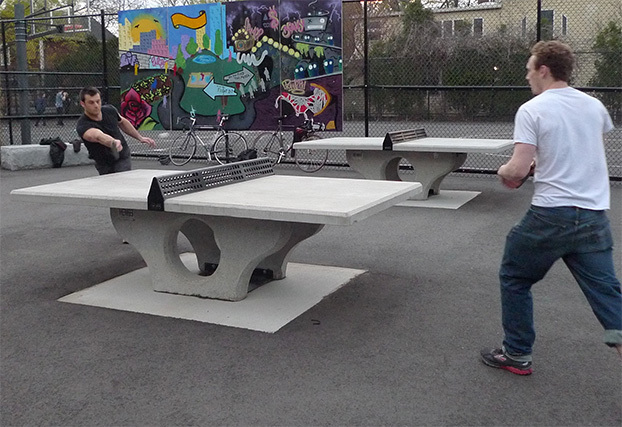 Contact HENGE to get yours. 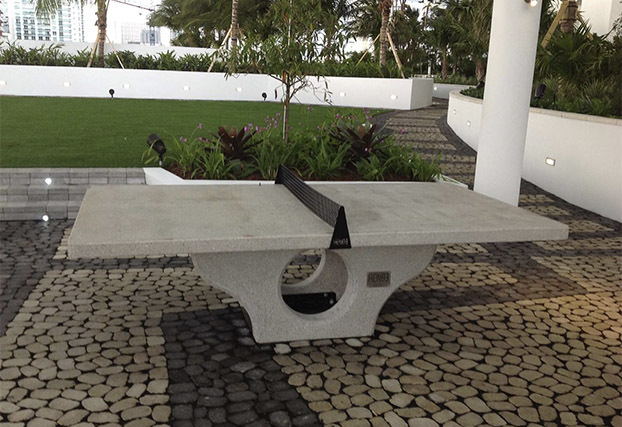 T20 Table tennis table. 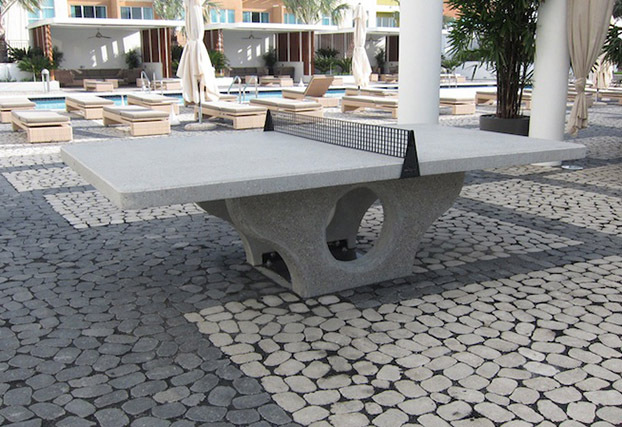 Available in Silk or Exposed Aggregate hand finished surfaces, with chamfered edges, anti-graffiti coating, and tamperproof fasteners. 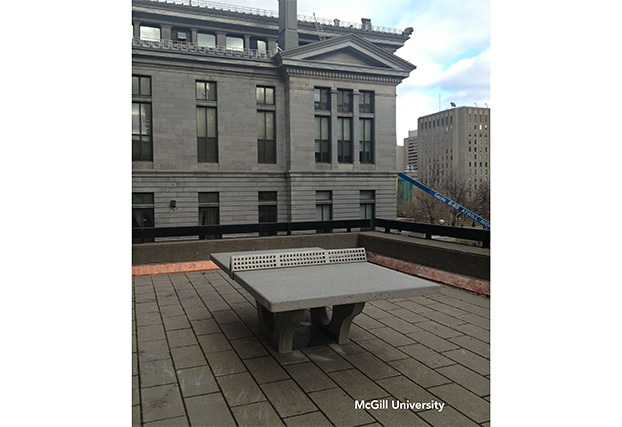 Prism net in Stainless Steel, skateboard ready.